From the turquoise sea to the top of the mountains. 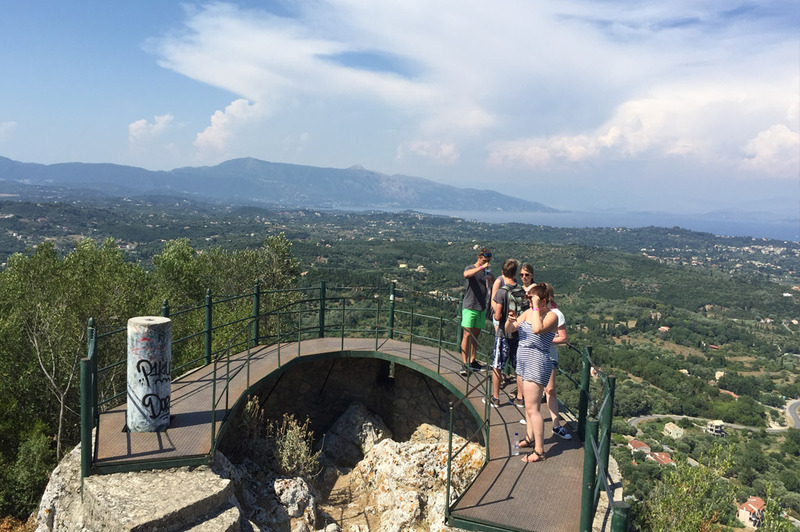 Riding on the shuttle from Corfu Town to Agios Gordis beach you’ll enjoy breathtaking vistas of the mountains and blue sea. As a guest of The Pink Palace Beach Resort, you’ll enjoy the opportunity to enjoy several guided excursions including the Quad Safari Island Tour. 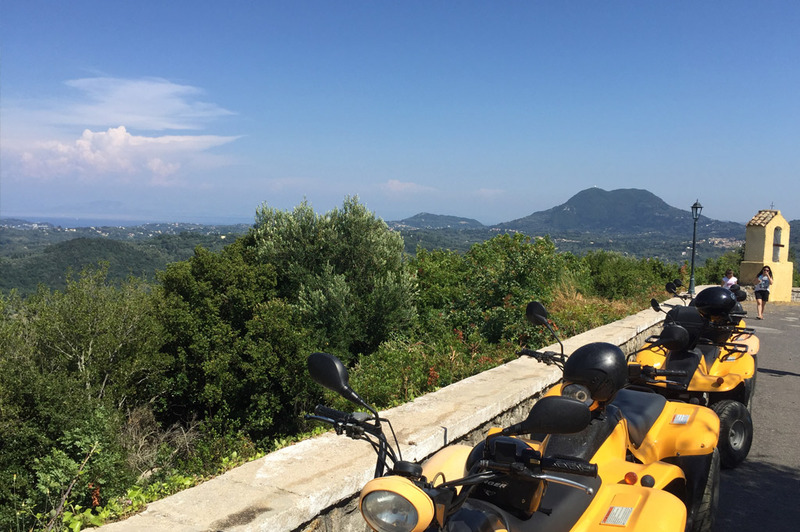 Led by our experienced staff, guests ride a 4-wheeler quad up into the mountains where you will see views of Corfu from the peak of the mountains. The 5 hour Quad Safari Tour leaves from The Pink Palace lobby at noon, although to secure a stop you must sign up before 11am. If you have a copy of your valid drivers license, you’re able to ride the Quad Bike solo! Does that sound scary? Well trust us, by the end of the day you’ll be a pro! If you don’t, you can sit on the back of a double with one of our guides. First, we stop at Paramona Beach with an hour to spend at the restaurant and bar or enjoy a refreshing dip in the ocean. 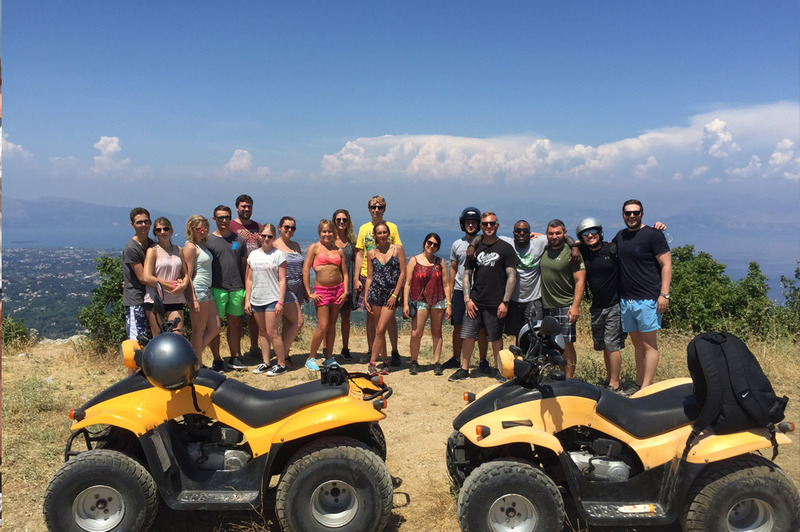 Up in the hills you’ll stop above the clouds where you and your group can take photos on the the Quad Bikes – when you post these shots you’ll be sure to make your friends back home jealous! Next you’ll enjoy a delicious homemade sandwich by the old monastery under a shaded picnic area and play some ice-breaker question games with your group. Towards the end, we have time to explore the Kaiser Throne and chill out on the restaurant patio and take in the incredible view. Upon return the group get’s together to celebrate in the bar with a round of Ouzo shots! 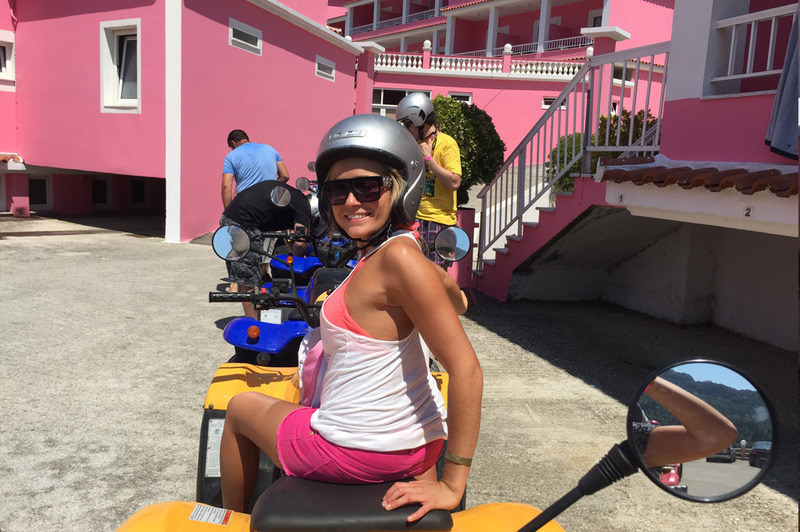 Riding through the mountains of Corfu is an incredible experience which every guest of The Pink Palace should do! You’ll get to ride through tiny streets with traditional Greek homes, cafes and shops, seeing plenty of old architecture. Sign up in reception for the Quad Safari Tour. We look forward to showing you the island!